By using the Mosaikify program (hereinafter: Mosaikify), you agree to be legally bound by the 'Mosaikify terms and conditions' that apply to the version of Mosaikify you are using. The terms and conditions that apply to a particular version of Mosaikify can be found in the 'About Box' of that version. The terms and conditions that apply to the latest version can also be found on the Mosaikify website. Failure to adhere to these terms and conditions may lead to prosecution. Subsequent versions of Mosaikify may be subject to different terms and conditions. Only Naiad Software, or entities authorised in writing by Naiad Software, reserve the right to change these terms and conditions. Mosaikify may be used for commercial purposes, however, if you publish (or distribute in any way) a mosaic created using Mosaikify, you must include a clear written credit to Mosaikify. On a website, add a link to the Mosaikify website. When printed, add a note about Mosaikify together with the print. 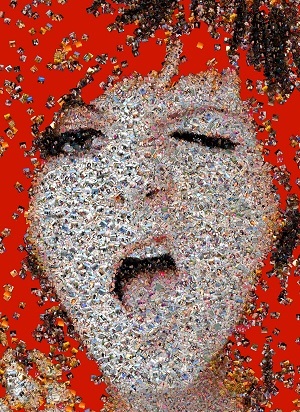 It should be clear to anyone who sees the mosaic that it was created using Mosaikify. New versions of Mosaikify are either released due to new or improved features (a 'feature' version), or due to bug fixes (a 'bug fix' version). The versions are always of the form F.B (e.g. 2.1), where F = 'feature' and B = 'bug fix'. A Mosaikify Plus license purchased for a particular 'feature' version of Mosaikify will only work for that 'feature' version and any related 'bug fix' versions. If you change to a different 'feature' version, you will have to buy a new license. E.g. if you buy a Mosaikify Plus license for version 2.0, your license will continue to work if you upgrade to version 2.1, 2.2 etc. but it will not work if you upgrade to version 3.0. A Mosaikify Plus license will only work on one computer; that is the computer from which it was purchased. So if you want to buy a Mosaikify Plus license for an installation of Mosaikify installed on a particular computer, you must purchase the license via that installation, on that computer. After purchase of a Mosaikify Plus license, the email containing the license key will usually be sent within a day, but may take longer. Mosaikify is provided under an AS-IS basis and without any support, updates or maintenance. Naiad Software is not required to provide support or fixes to any bug, failure, poor performance or other defect in Mosaikify. Naiad Software shall never, and without any limit, be liable for any damage, cost, expense or any other payment incurred by the user as a result of Mosaikify’s actions, failure, bugs and/or any other interaction between Mosaikify and the user. The user shall not be, ever, entitled to any refund, rebate, compensation or restitution for any reason whatsoever, even if Mosaikify contains material flaws. Naiad Software may, at any point, cease all responsibility for Mosaikify and will not be held liable, in any way, for doing so. This cessation of responsibility may include closing down the Mosaikify website and not releasing any more versions of Mosaikify. If you buy a Mosaikify Plus license, Naiad Software may occasionally send you emails with information relevant to Mosaikify. Naiad Software will never pass on any of your personal data to third parties. Mosaikify is protected by copyright law. You may not rent, sell, reproduce or change it, or any part of it in any way. Nor may you use an instance of Mosaikify that has been manipulated in any of the above ways.